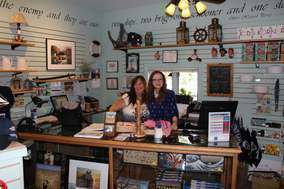 The Museum Store at the Michigan Maritime Museum is full of unique nautically themed gifts for the sailors in your life. You can purchase a variety of gift certificates, become a member, or donate by selecting the categories below! We are happy to ship items from our gift shop to you for a $10 to $15 shipping free. Please contact the Front Desk at 269-637-8078 ext. 1 to ship or for details.